Last month, we explored content pillars — what they are and why you need to consider creating them for your website. As you may recall, content pillar pages help your SEO presence by leading with one strong, in-depth piece of content on a topic that you want to rank for in search results. A content pillar page is like the trunk of a tree, with a network of branches containing relevant blog posts, videos, social media posts, etc., linked throughout the tree. By linking smaller pieces of content back to the pillar page, you signal to search engines that you have a large amount of relevant content on one topic, while allowing visitors to find information easily on your site. We know creating a content pillar page may seem like an overwhelming task. (Trust us, we’re in the process of creating ours right now.) So we found five of the best examples on the Internet. These content pillar pages provide unique examples of how to properly set up your page, while providing big-time content inspiration. 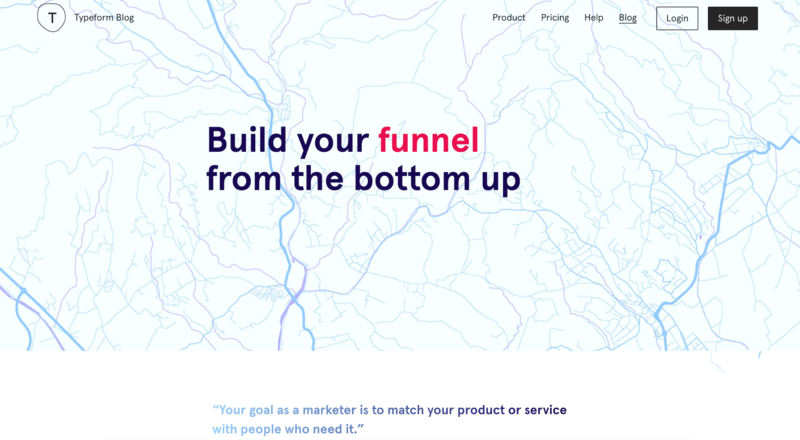 Typeform’s “Build Your Own Funnel From the Bottom Up” content pillar page nails a fun, interactive design that draws the reader in from the beginning. The most unique function of the page is the hyperlinked table of contents that follows you as you move up and down the page. The easy-to-read formatting is conveniently broken up into specific sections with visual CTAs throughout, and an abundance of links pointing to additional content assets from Typeform. HelpScout has created a beautiful pillar page for Acquiring Customers With Email. The page offers compelling content with relevant subtopics and sections that consistently speak to the overall theme of the page. The simple and organized layout highlights strong CTAs throughout, with links to additional content resources conveniently placed within the page. Neil Patel has ranked on the first page of Google for “online marketing” for many years now, so it’s no surprise that he’s a pro at creating effective content pillar pages. We love his page about Growth Hacking because it’s extremely simple, and he tells you right away that he’s going to cover a lot of information. That’s why he provides a hyperlinked table of contents so you can jump to whatever section catches your eye. We also admire the way he writes in very short paragraphs, so the amount of content doesn’t seem overwhelming. His use of charts, graphics and examples throughout the page keeps it interesting as well. As Hubspot’s Director of Acquisition, Barby is extremely familiar with content strategies. His Customer Acquisition pillar page is full of useful content. The top of the page tells you when it was last updated so you know the ideas are current, as well as how long it may take you to read. 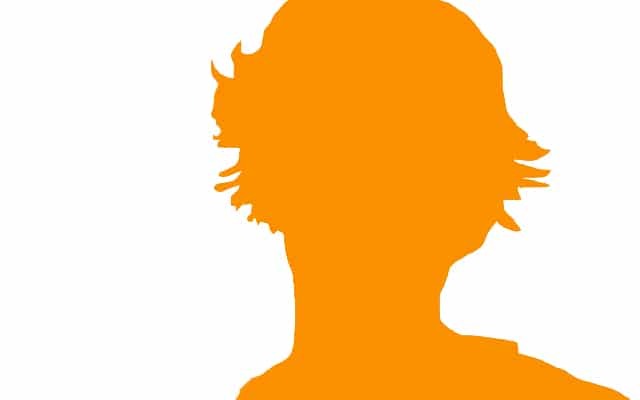 While 84 minutes may seem like a lifetime to read one page online, it will be well worth your time. The format breaks up the key points into separate boxes, with large CTA buttons sprinkled throughout linking to additional relevant content. This format provides easy-to-read, bite-sized pieces of information, in what may seem like an otherwise daunting document. 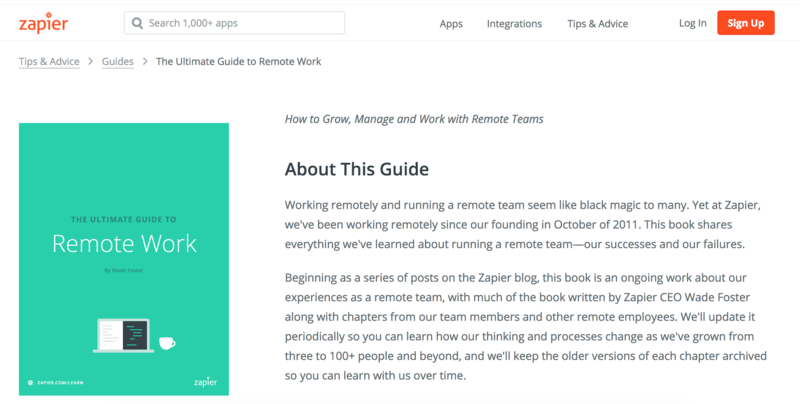 In Zapier’s “Ultimate Guide to Remote Work” the team took an ebook approach to creating a content pillar page. The table of contents is vast and links to 14 various pieces of content on the Zapier site. The CTA at the end is to download the guide, so as a reader, you don’t feel overwhelmed by the initial length of the page, but rather you can browse specific topics of interest to you. The design is clean and simple, focusing on a hot topic that many people are interested in right now. This approach serves as a true one-stop shop for everything you may need to know about remote work. Staying on top of the ever-changing world of SEO can feel like an overwhelming task. We recommend tackling one project at a time, by starting to create one content pillar page for the top keyword you’d like to rank for in search results. Eventually, you can fill your site with as many trees (content pillar pages) as you’d like. We hope these examples gave you some inspiration on what a beautiful content pillar page could look like. You’ll notice each one has similar characteristics and ultimately helps the customer better understand a major topic.